Management and strategy consulting firm, Zinnov released its global rankings of Digital Service Providers for 2019, titled, ‘Zinnov Zones for Digital Services – 2019’. Zinnov defines digital spend as investments on modern data-driven digital technologies that help companies improve customer experience, drive higher operational efficiencies, and build new digital products and services. The study analyzed the Global Digital Spending across enterprise segments and evaluated outsourcing Service Providers on the breadth and depth of their capabilities. 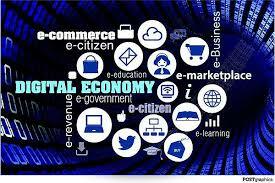 The study estimated that the global enterprise digital spend was $575 Bn in 2018 and is expected to grow at a CAGR of ~20%, to touch $1.2 Tn by 2022. Spend on building intelligent and connected products (i.e., digital engineering) increased to $293 Bn, while IoT spend alone, reached a staggering $201 Bn in 2018. The study further revealed that 85% of the top global enterprises are creating intelligent platform-centric business models to compete against successful start-ups, unicorns, and tech giants in the quest to stave off competition and stay relevant. Today, over 40% of large global enterprises have already set up one or more digital CoEs focused on IoT, AI, and RPA. The Zinnov study also detailed that outsourcing Service Providers generated $40 Bn in digital services revenue in 2018 and estimated that this number is likely to cross $110 Bn by 2022. Interestingly, a significant proportion of the digital and platform engineering opportunities happened in industries beyond software & HiTech. Customer experience management, intelligent operations, insights-as-a-service, security, and legacy modernization emerged as the other top digital services opportunities for Service Providers. As enterprises increasingly shift their focus towards creating new digital products and services, a significant share of services projects are expected to be driven by the convergence of disruptive technologies such as AI/ML, IoT, AR/ VR, and RPA. To capitalize on this growing opportunity, Service Providers are adopting a multi-pronged approach of talent upskilling, ecosystem and start-up partnerships, setting up digital CoEs, and mergers & acquisitions, to expand their digital capabilities. Leading Service Providers are elevating their positioning by demonstrating deep focus on industry-aligned digital solutions and are starting to bet on outcome-driven engagement models. Incumbent Service Providers, however, continue to struggle with relatively smaller digital deals, intense competition from niche providers in the industry, and geographical and use case limitations. ‘Zinnov Zones for Digital Services’ ranking analyzed 23 Global Service Providers on their ‘Digital Prowess’ and ‘Scalability’ to position them in 4 Zinnov Zones (‘Nurture Zone’, ‘Breakout Zone’, ‘Execution Zone’, and ‘Leadership Zone’). Apart from the overall ratings on Digital Services, the analysis also provides a relative positioning of Service Providers across 8 key segments – Digital Strategy & Consulting, Application & Platform Development, UI/UX & Customer Experience Management, Legacy Modernization, Deployment & Integration, Data Analytics & AI, Infra & Managed Services, and Security Services. HCL, Wipro, Altran, EPAM, HARMAN, Mindtree, L&T Infotech, and Persistent Systems have been identified as leaders for overall Digital Services. Global digital spending to grow to a whopping $1.2 Tn by 2022: Zinnov report 0 out of 5 based on 0 ratings. 0 user reviews.